Optiontown was founded in 2003 and acts as a conduit between airlines and passengers to sell airlines perks that would otherwise go unused. The upside for the airlines is that they earn a little extra incremental income and passengers are able to score perks for a fraction of the cost of what it would normally cost. Everybody wins! Flight VN773 from Ho Chi Minh City to Sydney is a red eye. It departs HCMC at 9pm and arrives in Sydney 8 hours later at the local time of 8am. Any one who has ever flown on an economy class red eye flight knows only too well the agony of being denied sleep at 36,000ft due to the cramped conditions. I love to fly flat as much as the next person and my recent trip on Emirates A380 first class was all sorts of amazing but most times my budget won’t allow that sort of luxury and more often than not I am relegated to booking cattle class. I’m always hopeful that the flight will be virtually empty and there will be oodles of room around me but my life is not a fairy tale and I am usually boxed in by the most obnoxious of seat mates. But the Optiontown Empty Seat Option offers a way to stack the odds in my favour. Shortly after booking my flight to HCMC with Vietnam Airlines I received an email from Optiontown. I wasted no time registering an Optiontown Empty Seat Option for both my outward and return journey. I paid $28 for a single empty seat option on the way out and AUD$70 for our 4 empty seats on the return. Considering the return airfare was AUD$563.14 per person, that is brilliant value. Once you have registered and paid with Optiontown you just have to wait and hope for the best. They will contact you anywhere between 3 days and 4 hours before your flight to let you know if you have been successful. If you miss out they will provide a full refund. It should be noted that even if you receive an email saying you are successful your empty seats are not guaranteed until you get to the check in desk so get there as early as you possibly can. While the ‘economy class flat bed’ was not quite as good as my flat bed on Emirates A380 business class, it was a pretty close second. 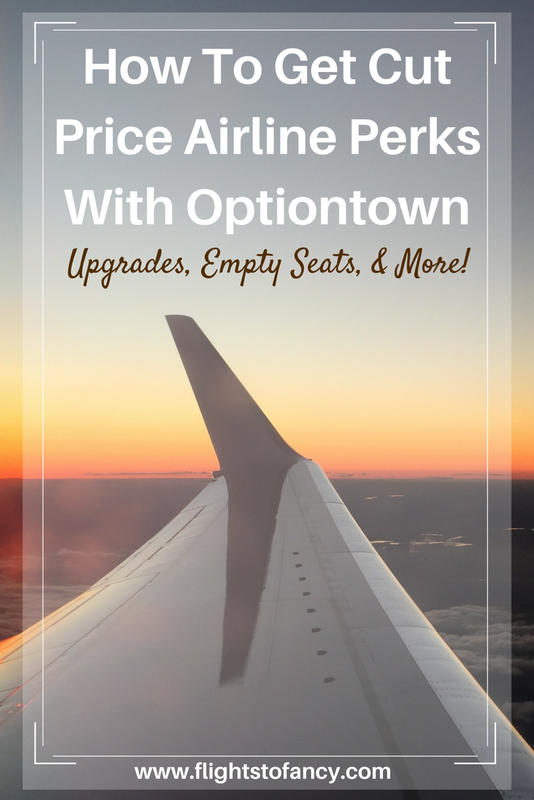 What Other Perks Does Optiontown Offer? Optiontown offers a number of different airline perks including upgrades, preferred seats, lounge access, preferred seating and extra baggage. I did dice with the idea of an upgrade on my recent Vietnam Airlines flight instead of the empty seat option but you can only go one class up. As we had booked economy class tickets, we could only upgrade to premium economy and it was quite a bit more than the empty seat option. Had I been able to upgrade to business I might have been more tempted. Who Do Optiontown Partner With? 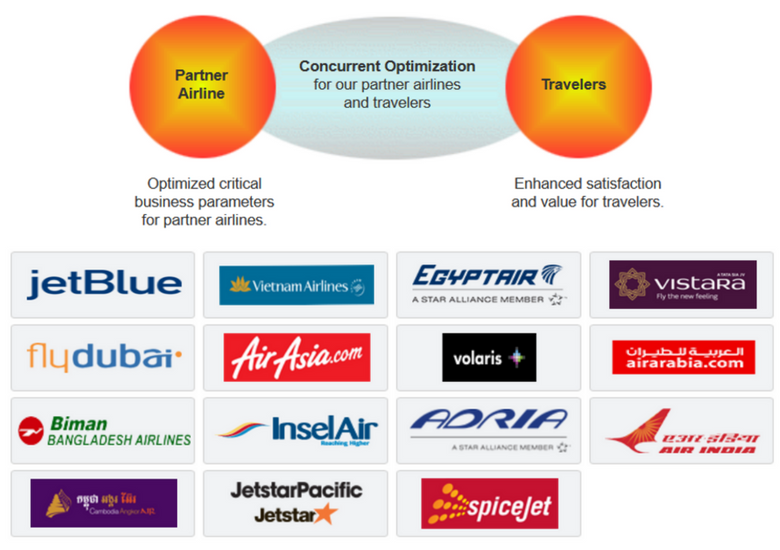 Optiontown have a limited number of partner airlines including JetBlue, Vietnam Airlines, Egypt Air, Vistara, Fly Dubai, Air Asia, Volaris, Air Arabia, Biman, Insel Air, Adria, Air India, Cambodia Angkor Air, Jetstar Pacific and Spice Jet. We have flown Air Asia a number of times and we did register for an Optiontown upgrade once but sadly we missed out. While it was a little bit of effort using Optiontown the benefits far outweighed the work. 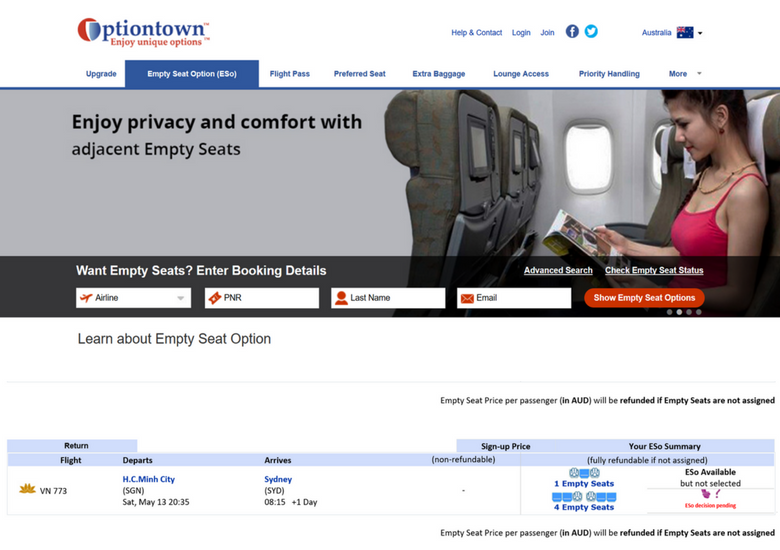 While I was skeptical after missing out on Air Asia, my faith has been restored and I will have no hesitation using the Optiontown Empty Seat Option again if I happen to be using one of their partner airlines. Do you have any experience using Optiontown? I would love to hear about it in the comments below. Disclaimer: This post is not sponsored. I paid for my upgrades with Optiontown in full. As always, all opinions are my own. This post contains some affiliate links which will earn me a few cents to contribute to the running of this site if you make a qualifying purchase at no extra cost to you. Hi I have googled optiontown and all i see is BEWARE and SCAM. have you had multiple good experiences with them? Hi John, I have used Optiontown twice. The first time we missed out and were refunded and the second time we were successful. There are no guarantees but I certainly think it’s worth a try. Fingers crossed for you! I feel like I’m a pretty thrifty when it comes to flying, but I have actually NEVER even heard of this! I wish Optiontown was associated with Delta, but I”m flying to China this next year and I think I might have to use this option. I know what you mean Janiel. I wish Jetstar was included and so fly with them often. Oh! This is something really new and amazing. I had never heard about option town before. Getting all those perks in the economy range is; what every traveler will wish for. Moreover, you get a refund if it doesn’t work out. I am surely gonna check this out before booking my next flight. I wish every airline had this option Suruchi! I’ve never heard of Optiontown but we are always looking for deals on our travels so I shall definitely be checking it out. It would be great if they had some Aussie airlines included Rhonda ? Optiontown sounds awesome, and I had no idea it even existed! We’ve lucked out with empty rows on a few flights, but it would be so nice to have empty seats waiting for us on long haul flights. 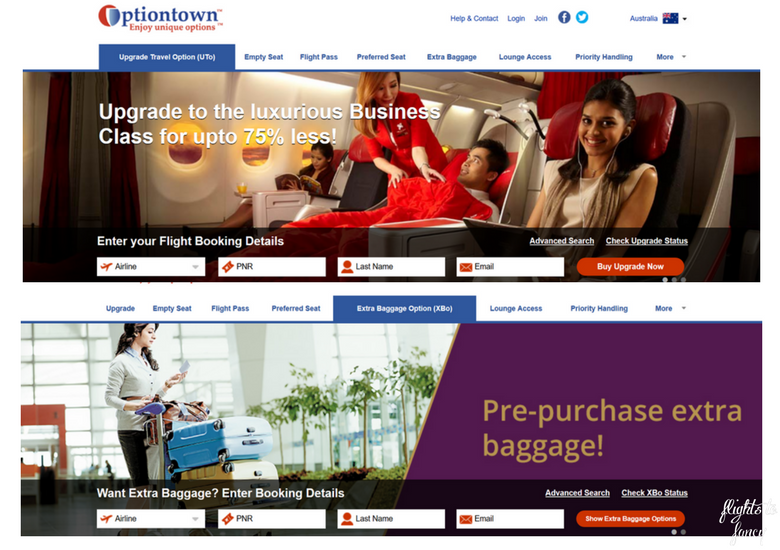 It’s especially good to know that so many Asian airlines partner with Optiontown since we’re based in SEA. Thanks so much for sharing this! I’ve also been lucky a few times myself but it’s great to stack the odds in my favour ? Somehow I have never been able to crack airline deals. Big skill I need to learn. Maybe OptionTown is where I can begin my practice. Wow! I had no clue about optiontown and glad you lot the post when you were in the moment and I agree as time passes some things get lost with time. 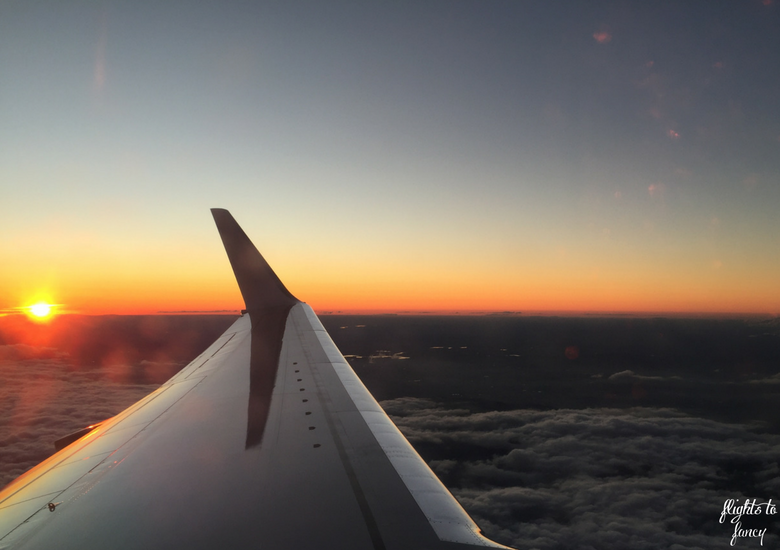 All the perks that you mentioned like upgrades, preferred seats, lounge access, preferred seating and extra baggage are something that every frequent traveler wants. Thanks for sharing this useful post. I know! I just wish that Optiontown worked with more airlines. I would use them every time I fly if I could! That’s amazing, had never heard of them before. Will definitely save that site and have look – thanks a lot for sharing! Hope it works out for you Wiebke! Hey hey! This was great information. I really enjoyed learning about OpinionTown. Do you have any information about whether it’s an app or anything like that? Not sure if they have an app J. I did my booking on the laptop. This sounds amazing! Extra room on flights are always welcomed by me! Especially due to travelling with my son! Thank you for the information as i knew nothing about this! Something I will be using in the future! For sure David! My boys are all grown up now but I remember the days of being a human mattress on long haul flights! I could have done with Optiontown then! It’s still not guaranteed but you have to be in it to win it! Ohh wow! This information is so useful and can come handy in the future.. Thanks for sharing! Hope it works out for you Tanvi ? I had never heard about Optiontown, but it’s genious!! All the airlines that they associate themselves with and buying tickets that they haven’t sold at a discount price, I’m definitliey going to start using this website for my future travels. I’m ready to start expanding my options as to using different airlines instead of being a loyal American Airlines customer. I tend to use AA in the states as well because they are affiliated with Qantas and I can use points but otherwise so am not loyal to a particular airline. I go where the deals are ? I have never heard of this site but it sounds like a ggreat site. It’s always hard to figure out how to make the most of your flight, so this will hopefully be really helpful for my next flight. Thank you for sharing this great tool! I hope you manage to make it work for you Mimi! Very interesting. I always get the spam from optiontown and can never see value in it but you’re definitely on to something here so I should give iit another shot next time. It’s worth a try Amanda! What have you got to lose right? I have never heard of this service, very intriguing. Hubby and I don’t fly often, but when we do, this would be so nice. We have some big trips with long flights coming in the next few years and will look into this! Hope it works out for you Jamie ? Definitely never heard of this but always excited to try new things. I love getting a good deal whenever I can and this seems like the perfect thing. Especially since I hate sharing seats! Don’t we all Tatum! I always end up with the worst seat mates! Optiontown has great schemes and offers which I was not knowing before. The airlines you have mentioned are the ones which I always use and so I want to signup in this perks and upgrades from Optiontown. I hope they have offers for family too. They sure do Yukti. I booked for both The Hubs and I so if you have multiple tickets you can just register for each guest. It’s great to learn more about Optiontown, Allison! I will have to use them soon! Let’s me know if it works out for you Agness! Perfect Haley! Fingers crossed for you ? Oh wow I’ve never heard of option town. What a great idea! I don’t really fly with the airlines they currently partner with but I’ll keep an eye out for when/if they add more. I would totally pay extra to have empty seats next to me, glad you managed to get some. It’s such a bargain for what you get! Let’s hope they add more Airlines soon! I’ve never heard of optiontown! I’m always looking for ways to cut travel costs. Thanks for putting this on my radar. Getting cheap travel perks is one of my favourite pursuits lol. I’m all for something Inge cheap ? I hope it works out for you Kris! I will defo use them again if I get the chance ? How incredible! I’d never heard of them before but sounds like a wonderful program. I’d definitely be interested in having a few extra seats to myself! For sure! Extra room is economy is the best when it happens by accident but is so rare so great to be able to have an option to stack the odds ? I was thrilled when my option was granted! I know it’s still not guaranteed but Optiontown helps your chances! This is 100% getting bookmarked! What a great concept, would make a world of a difference on a redeye! Great post thanks for the explainations!! Red eyes are the worst! A full day and no sleep does not make for a happy end to any trip! So glad I was able to get some solid sleep ? Oh I never even knew this company existed. It sounds like a great idea and they have some really great airlines included. I’ll look into them for my next flight I purchase. It worked for me! I will use them again for sure! How have I never heard of opiniontown!! What a life saver for long haul flights for those of us restricted to cattle class haha! Will definitely check out opiniontown next time I travel long haul!! It’s bliss when it work ms out isn’t it Rachel! I scored a row by chance on the way home for Thailand but I am usually not lucky so Optiontown is a lifesaver ? I had no idea about this! Definitely going to look into it for our next flight! Hope it works out for you Leigh! It must give you a buzz when you finally find out you have the extra seats (after the initial buzz that you have been successful 3 days earlier). I have flown with 3 of these airlines before and the next time I fly with any of them I’ll check out Optiontown. I guess it’s more beneficial on the long flights like Sydney to Saigon and even more beneficial on a red eye. I hope they add more airlines soon. I seriously hope they do too. Would be great for me if Jetstar signed up! Hm, didn’t know about this. I do fly Air Asia off and on and really need to check this out ! Hope you get lucky like I did Nuraini! I don’t believe I’ve never heard of opiniontown. For me it would be an absolute lifesaver on a long haul flight. I hate being trapped and not being able to access the toilet because someone fell asleep. I love the window too. It’s always a conflict of interest. I’m hearing you Penny the struggle to choose window or aisle is real! I usually go with the aisle. Allison, thank you so much for this post. I have never heard of optiontown before so thanks a lot for making me aware of its presence. I would love to get an economy class flat bed and love to ignore all my obnoxious co-passengers who I always tend to end up with on a plane. I see it partners with Air India and guess what I am just about a day or two away from booking my tickets with Air India so yaay hopefully I will get an opportunity to use optiontown empty seat option! Great timing Tania! Look out for the email for Optiontown after you book! I haven’t heard of OptionTown, so thanks for introducing it to me! Looks like a good option. I’ve been on Emirates first class once and its pure luxury and to be able to stretch out in flights is such a blessing! Empty seat and upgrades are just perfect perks for frequent fliers! I’m gonna check out this site! Emirates first class was just the best wasn’t it? Hope you get lucky with Optiontown. Like you, I totally hate being cramped in economy class. I like how if you don’t luck out, Optiontown will provide a full refund. It’s also great for premiere lounges and extra baggage. This sounds so amazing! I was blessed to have had one of the few empty rows on my Emirates flight from Athens to Newark (about 10 hours). It was the longest flight I had ever been on and the fact that I could lay across (I’m also 5’10) was a lifesaver. I would love to eventually book a business class ticket but having the option to book those empty seats sounds like a real treasure. Gosh, I should have know about this while flying from UAE to USA or Australia. 14 hours … took the life out of me! I’m so glad I can use optiontown now while flying with my favourite local airlines – Fly Dubai and Air Arabia. Thanks for introducing me to it. Your welcome Delaine! Hope you get lucky like I did ? Oh wow! I wish I had known about this earlier because I’ve flown with the partner airlines mentioned. I like the fact that you get a refund if it doesn’t pull through. Thanks for sharing! It’s sure worth a try if you fly those airlines often! What you have to remember is that if you do a seat selection, that you are not guaranteed the seats you booked. Eg we booked the wing ie extra leg and paid 58ea for that.. took the Optiontown option, and lost the seats we paid extra for. Air asia was able to resell those at a higher price. We got the 3rd seat Option town seat but would have preferred the leg room seat with out the extra seat but would have had to pay an additional 60+ ea again to get the seats we originally wanted. Dont get me wrong.. love air asia.. but something to consider. Good point Peta! We didn’t pay for an upgraded seat or even seat selection for that reason and took a chance. Luckily it worked out this time. I think we were blessed as there were actually very few empty seats on the flight and we had most of them. Yay! Allison, thanks for introducing this to me. I don’t travel as often as I’d like to but when I do travel, I always have this silent wish that the seats beside me would be empty. This is such a great service so I can take things in control rather than simply hope for it to happen! I would have to check it out! I think it’s what every traveller wishes for but it doesn’t happen often. I hope it works out for you when you next travel! Well it worked out once Mariella! I wish Jetstar was part of it for the same reason ? Never heard of Optiontown before. Mind you, the list of airlines they operate with are not the ones I normally use. However for those that do, this sounds like a great scheme. Incredible that they also offer a full refund if it doesn’t work out – it’s pretty much a no-lose situation. Great that both you and your husband got lucky on that flight. There are a couple I use but would be great to see more added! Exactly! There is a non refundable registration fee of a couple of dollars and well worth rolling the dice! The list of perks is really interesting. And so is the fact that a full refund is promised if you don’t get what you expect. Looks like optiontown is surely something a traveler should give a try to. It worked out for me Neha and I would use them again!